Pepcid AC Tablets BUY Pepcid, Anti-Acid Medication, 00716837872306, Johnson & Johnson Pepcid AC, Famotidine, Antacid. 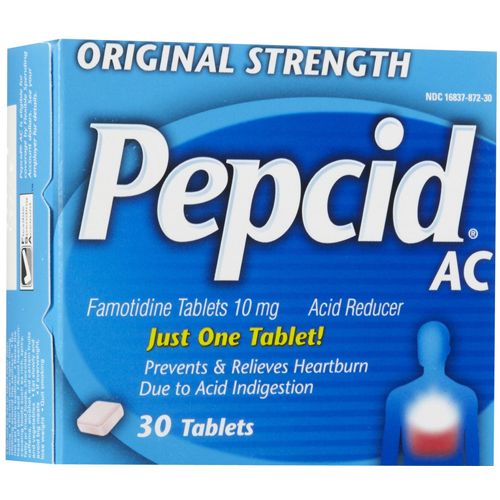 Pepcid AC is formulated for the occasional heart burn flare-up. 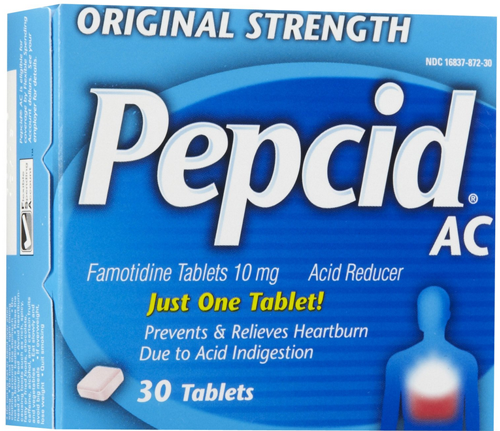 Manufactured by Johnson & Johnson, Pepcid AC provides relief that starts working in just 15 to 30 minutes and controls acid all day or all night. This Heartburn Relief Medication may be used in a preventative role fifteen minutes before consuming food that usually produces heartburn. Formulated for adults and children 12 years and older. Relieves heartburn associated with acid indigestion or sour stomach. Pepcid AC Product Number: 00716837872306. Inactive Ingredients: Hydroxypropyl cellulose, hypromellose, magnesium stearate, microcrystalline cellulose, red iron oxide, starch, talc, titanium dioxide. to prevent symptoms, swallow 1 tablet with a glass of water at any time from 15 to 60 minutes before eating food or drinking beverages that cause heartburn. do not use more than 2 tablets in 24 hours. children under 12 years: ask your doctor.